The term “Forex” usually refers to the foreign exchange market as a platform as well as a direct currency trading process. For the last two decades the forex market has firmly shown high growth rates due to the development of the Internet and online platforms for trading. The foreign exchange market operates around the clock throughout the weekdays. It is open as long as the international stock exchanges are open for banks and companies that sell currencies along with commodities and shares. At the market currency operations (namely, the sale and purchase of the foreign currency) are carried out by both the financial institutions and individuals. The way of trading on stock exchanges can decrease or increase the value of any company or a product. Also, Forex trading lets reduce or enlarge the value of world currencies. Of course, the price movement largely depends on world news and events. The main reason for the creation of the global forex market was the need of the countries around the world in the constant alternation of the reserves denominated in the foreign currency. The accumulation of foreign currency reserves provides the countries with the possibility of stable import – export operations. Today Forex has become the largest financial market. It outclasses the New York Stock Exchange or any of its counterparts in other countries. A huge number of private and public banks, investment companies and other financial institutions are the main actors at the foreign exchange market. They set the tone for both individual clients and brokerage firms. A special feature of the Forex market is its decentralized nature. It means there is no clearly defined place for doing business. This allows traders all over the world to carry out the transactions when and where they wish. Due to the fact that all the major financial centres (New York, London, Tokyo) are located in different time zones, there are always a lot of opportunities for the implementation of the trading activity at the market. At the end of World War II leading Western countries came together to discuss a new global financial system. The fundamental aspects of the system were confirmed in the Bretton Woods Agreement. All major currencies were closely tied to the dollar. In its turn, the dollar exchange rate was dependent on the price of gold (then $ 35 per troy ounce). Since Europe and Asia still remained in a deplorable state, the main purpose of these arrangements was to stabilize the political and economic situation. In a global sense, the aim of these measures was the prevention of another global economy crisis. In course of time the national economies grew stronger and expanded considerably. However, a system, which worked well in the difficult postwar times, became morally outdated. Its imperfection and mismatch to modern realities started to significantly slow down the economic growth. As a logical result, in 1971 the Bretton Woods system broke down. The floating exchange rates were applied instead of the fixed ones in the past. This gave the main impulse for the development of the world economy and caused the initial occurrence of the forex market. With the advent and development of the Internet the process of the foreign currency exchange became faster and easier. The increase of the US $ deposits in foreign banks also affected the development of the Forex market. The statistics claims that at present the total volume of transactions at the forex market is $ 4 trillion a day. You buy the currency of one country through the currency of another one. Your profit is generated from the difference in the Bid / Ask price. In other words, you buy US $ 2 for the price of 1 euro and sell when the price reaches 1: 1. Thus, your profit is 1 euro. The process of exploitation of such inefficiency is called Forex arbitration. It is necessary to pay attention if the conditions are quite timely for its implementation. 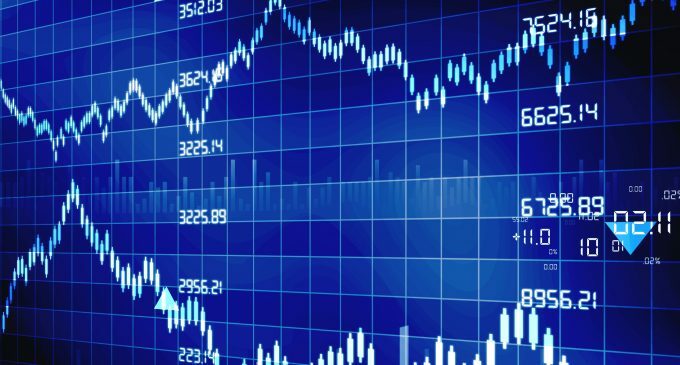 The investor must have the real-time access to the data of the exchange market. Also, the investor should have the possibility to calculate the efficiency and the opportunity to get some profit. Let’s go back to our simplified illustration with USD / EUR. The trader generates profits only if the USD price rises against the euro. Otherwise, the investor will lose money. This example shows that the Forex system is a natural zero-sum game. If one investor wins a million dollars, then the other loses it and vice versa. Today there are two main trading sources within the Forex market. They are spot transactions and futures. On the spot market currencies are bought and sold at their current prices. A futures contract is an agreement to buy or sell a fixed quantity of the particular commodity. This product will be delivered at the fixed date in the future. The price of the commodity will be pre-agreed, too. In the past the futures market was the largest one and it was open for private investors. Spot trading left the futures market far behind as the online trading quickly developed. If someone refers to the Forex industry, then they are speaking about the spot trade. Forex trading has many advantages over the stock exchange. One of them is the fact that the market is active 24 hours a day. You can access it even when all stock exchanges are closed. But you can’t perform significant trading activities. Forex is 100% liquid. It means that the assets should not be on the market until the moment of sale. One more advantage of the forex market is the volatility of the currency market. It means that the price action develops very rapidly. Rising and falling during a few minutes, it can bring the investor a real profit. However, there is a risk to lose the capital if the trader made a mistake or was inattentive. Fortunately for the traders, there are dozens of tools to reduce risk and protect profits. The simplest instruments are stop-loss and take-profit. In conclusion, Forex offers the investors a way to make money even in a falling market. Often, the forex market trade is considered to be similar to the trade within the stock exchanges. However, you can find a lot of differences between them. For example, an investor at the Forex market should apply a strategy that radically differs from the approach used in stock trading. On the Forex market there are no actual exchanges of purchases and sales. While the main trade is conducted on the spot, forex investments should not be regarded as long-term or tangible assets, stocks or real estate. Huge financial institutions, such as banks or corporations, are the major players at the forex market. Therefore, individual investors have to use the brokerage services. There is no technical trade at the forex market. However, there are variants how to implement trading. A broker manages a purchase within the stock market. He makes he trade with another broker or through the Central Market. Inside the spot market most transactions are made automatically through a broker. It means that the broker can perform tasks without any controlling persons. As a rule, Forex brokerage companies do not withdraw a fixed fee for their services. Instead, they take a small part of any transaction. It is a change between bid and ask prices in the form of pips. Due to the internet development, the Forex market is open to everyone in the literal sense. However, before starting to trade, you should learn the basics of the forex trade. A trader must understand how the financial and trade policy of the country as well as global news may affect the market. To minimize the risk an experienced dealer must accurately understand the technical features relating to the trade. Also, it is necessary for the trader to use proven methods and technologies. It is important and advantageous to work with a broker who has a partner in the main bank. The responsibility of a competent broker is to provide you with accurate quotes and the program execution of the transactions. To a certain degree these characteristics can be checked through the demo trading. A potential investor should be careful with the fraud, i.e. when some hidden fees are withdrawn from his account. Sometimes he is required to pay more than it was originally stated. This illegal practice shows that the broker is not confident in the ability to make a profit from the pip commission. It also reveals the broker’s incompetence. And, of course, it is better to stay away from the brokers who tell their prospective traders about the possibility of enrichment in one day. As mentioned above, the Forex market prices can rise and fall in an instant. It can make the trader incredibly rich. Or, conversely, they risk being left without funds for further trade. This often occurs during the important political and economic events. The most expected novelties include a decision on the rate in the Eurozone or non-farm salary in the US. Also, don’t miss the speeches of the Governors of such national banks as the FRS, the Bank of England, the ECB, etc. When trading at the foreign exchange market, the trader will repeatedly meet the concept of ”slippage” shows the delay that occurs between an order placing and the actual execution of it. Some unscrupulous participants of the financial markets artificially prolong the delay to put the trader in a less favorable position. The action of the market may take a few seconds, leaving the trader without the expected profit. So, it is really important to trust your broker and test him on the use of such dishonest practices.